The trade has started the year on a positive note but those around the rings were concerned about where the trade would go after March 29. 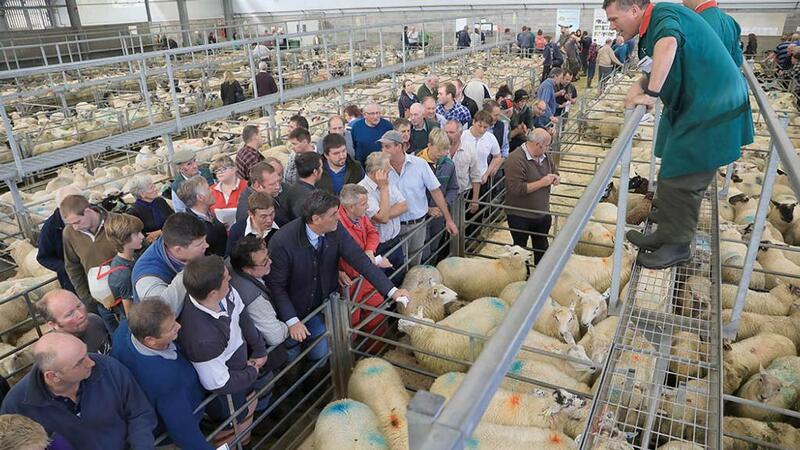 Brexit was dominating the conversation around the sheep rings at UK auction marts as the trade started the year on a positive note. Paul Ashton, auctioneer at Sedgemoor, said every other person he spoke to at the mart was asking what the trade would do after Brexit. “The stock answer is, who knows," said Mr Ashton. However, he said farmers were still thinking the sheep market at the moment was a ‘better bet’ than beef. “I think most people are just desperate for politicians to make a decision," he added. Mr Ashton had been anticipating a lower trade, but prime lambs had been selling ‘very well’, with numbers fairly tight, with a strong trade for store lambs. “I think a lot of people have signed up to abattoir contracts where they have to supply them or they pay penalties," he said. Aberdeen and Northern Marts deputy head of livestock Colin Slessor said the lamb trade had started the year well, and he expected prices would continue to firm. “But do not expect prices to reach the dizzy heights of last year which was a unique situation," he said. For cast ewes, Mr Slessor said trade was ‘steady’ and with numbers ‘likely to tighten’, he expected prices to rise. Mr Ashton said the cull ewe trade remained ‘very difficult’ with ‘plenty of numbers about’. There was some demand for leaner ewes, but buyers did not want overfat stock.